hotels there. 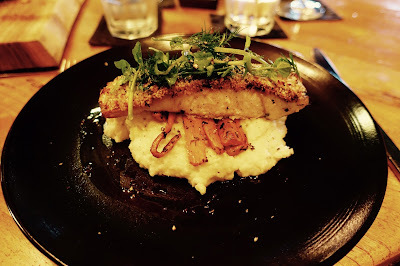 Now I want you to know where to eat in these 4 places - actually I have only recommendations for 3 towns because I did not make that memorable dining experiences in Semyniak. 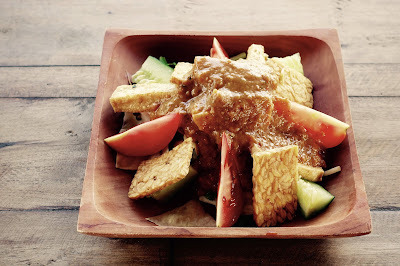 In Ubud there is definitely no shortage of restaurants of every kind and in every price class. Please find hereafter my list of recommended eateries, starting with fine dining establishment and ending with places for a quick bite. 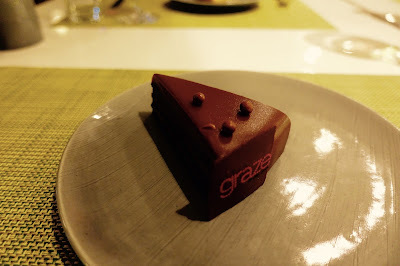 We dined at this modern restaurant offering contemporary European fare and using almost exclusively local ingredients at the occasion of our stay in 2014. As we enjoyed the chefs’ innovative and refined cuisine very much at the time, we wanted to visit this restaurant again when being in Ubud a few weeks ago, but unfortunately we could not get a reservation. The place has become very popular in the meantime and you have to reserve 2 months in advance for dinner! As we stayed at the hotel in 2014, we dined twice at this riverside restaurant, which has a varied menu. Once we had more western styled food, the other time Indonesian fare, and found both delicious. The setting on the Ayung River is beautiful, service is very friendly and food is seriously good. 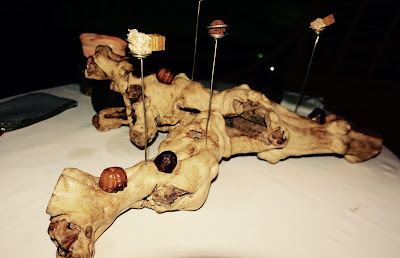 We had dinner there on our first evening of our recent stay and were blown away by the experience! Setting and venue – right on the river & sitting in our own private bamboo cocoon – are hard to beat. Also the cuisine and the service are top notch. We had the 6-course prefix menu including a set of amuse-bouche, a pre-dessert and friandises, all masterly prepared and very tasty. In addition, the menu is reasonably priced, albeit wine prices are horrendously high. 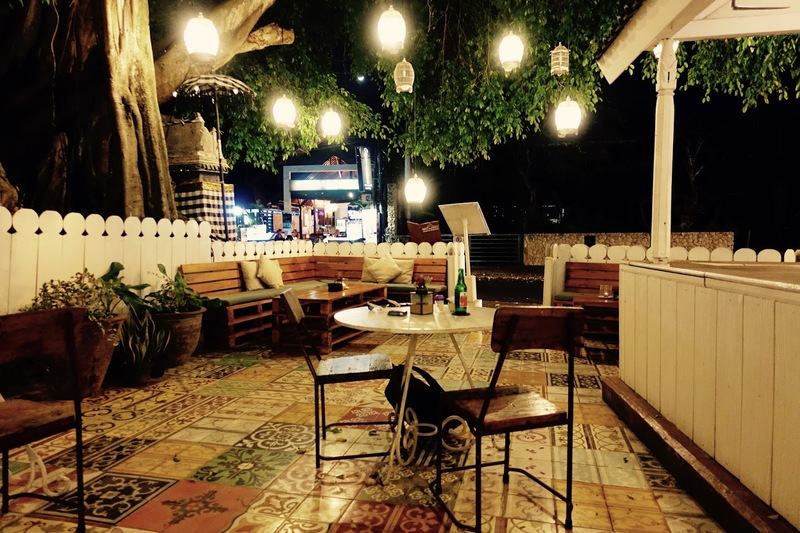 If you are into creative cuisine combining best of western and Asian cuisine, go there! When staying at the hotel recently, we had breakfast there every morning and twice we also dined there. Setting is nice, overlooking the resort and the river. There is Indonesian food on offer, well prepared and delicious. One day we had the Indonesian set menu, the other day we ate a la carte. Prices of food are adequate, but the ones for wine are far too high. Service is extremely friendly and attentive. 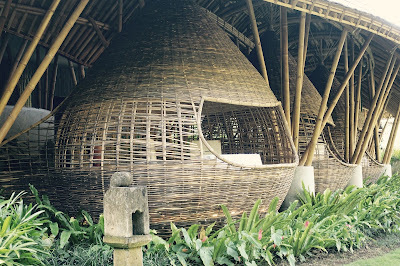 If you are strolling through Ubud’s rice fields – highly recommended –, then do not miss this lovely Indonesian restaurant in a most beautiful spot. 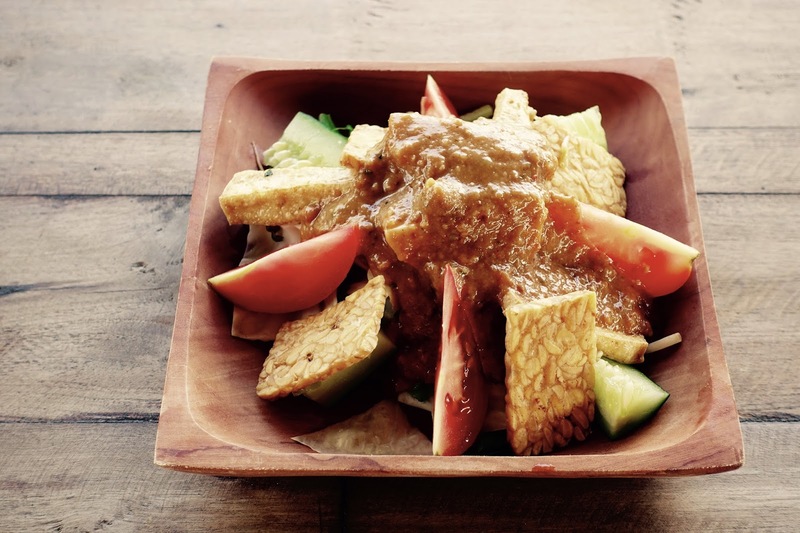 It is not only an oasis from the hustle and bustle of Ubud’s town center, but also a place where you can have a delicious lunch (or an early dinner, they close up at 7 pm), inexpensively priced. Allow some time, service is a bit slow, but everything is prepared freshly and it is the perfect place to relax. I am an ice cream addict and I usually check out if there is decent ice cream available everywhere I go. And imagine, I have been especially successful in Bali! Gaya Gelato produces one of the best ice creams I had in years. This is a must try if you are into ice cream. The ice cream is sold in closed containers – much better hygienically seen – and the selection is limited, also a plus point. The outlet in Ubud is a bit remotely situated. I have to admit that I did not succeed in actually going there, but I made up for this by visiting the Sanur branch on a daily basis. There are more shops throughout Bali, check it out on their homepage. This ice cream – sold on several spots in Ubud’s town center and also in other towns – is also good, albeit not as good as the one of Gaya Gelato, sorry guys. 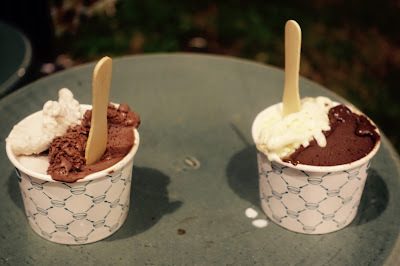 I actually tried this ice cream before sampling the one of Gaya Gelato and was quite satisfied. I like their “Salted Caramel”, but found other flavors such as “Coffee” not that convincing. This quiet coastal town is not the place where hip restaurants are plentiful. Having said this you can find eateries pleasing even to discerning travelers if you look carefully enough. 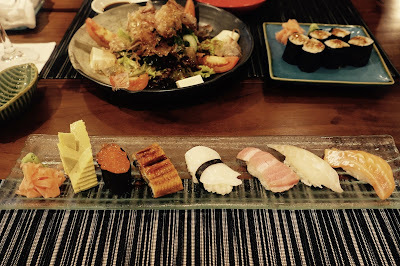 While staying at the hotel a few weeks ago, we had a fabulous dinner at this contemporary Japanese restaurant. It offers izakaya style dining featuring small sampler dishes from sushi/sashimi etc. to steamed/grilled dishes. While service is friendly and helpful, the ambiance is somewhat cold. This is the only restaurant we found in Sanur meriting the label “stylish”. Food is good quality, well prepared and nicely presented. The menu is quite varied, from western food to Asian flavored dishes. The ambiance is cool, prices are a bit higher than in other restaurants in Sanur and service is friendly and prompt. We visited the restaurant on the occasion of our recent stay at the hotel. The restaurant caters for all needs, from all day breakfast and quick bites to more upmarket cuisine. 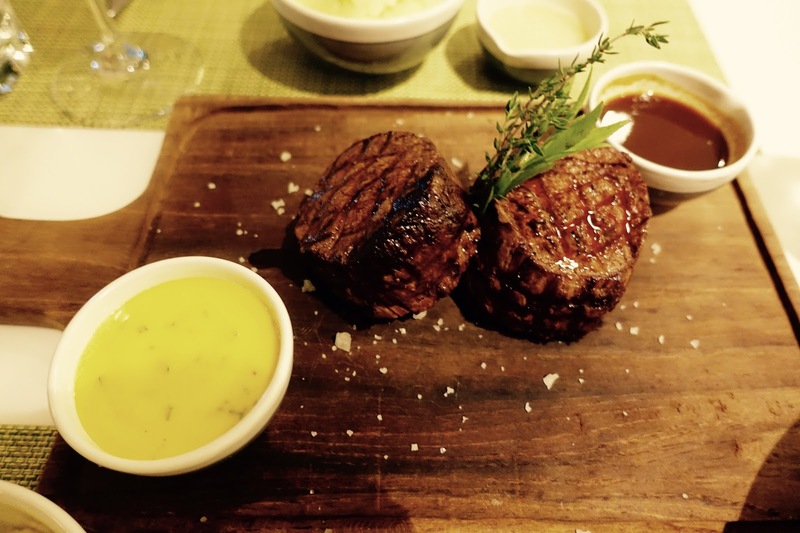 Normally, this is not our cup of tea, but we had heard that the Australian Angus Beef Tenderloin is a highlight, which we can fully endorse. Whereas staff is eager to please you, the atmosphere is rather chilly. See review in Ubud (6.). See review in Ubud (7.). It is far from easy in this sleepy small town if you are in the search of seriously good restaurants, which are suitable for demanding travelers. 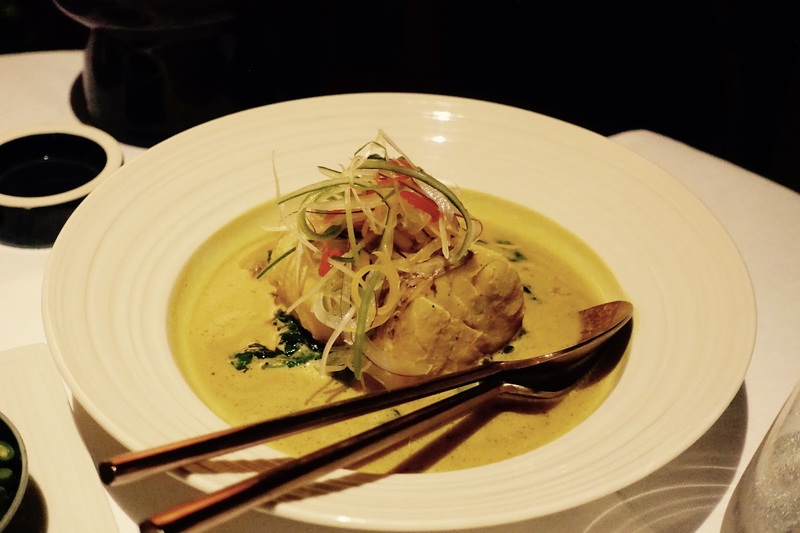 Hotel The Damai – see my review – is supposed to have an acclaimed restaurant. We had dinner there twice in 2014. While we did not have a bad culinary experience there, it could not fully convince us. The chef used to work at the above-mentioned Hotel The Damai. He has run his own restaurant for some years. Whereas we liked his creative cooking, we found the setting a bit underwhelming, it felt like in a barn. The menu offers quite a choice from western dishes to Balinese ones.